MOVE IN READY! Stately Colonial w/ space to grow! This is a Morrell Home! Proud 3rd generation local builder stands behind his product. This home features Hardwood floors, Cook's kitchen w SS appliances, large mudroom with walk-in closet, 3 car garage! This beautiful colonial's 9 ft ceilings and oversized windows are south facing to allow radiant light to flow through your vast space! Wilshire Hill sits on a stunning piece of property with a location that enjoys quick access to the Village of Pittsford while also having the feel and character of a rural horse farm. Pittsford Schools. Over 30 acres of town park area! Sidewalks and Walking Trails all within 5 minutes from Pittsford Village, Monroe Ave. Wegmans, U of R, Strong Hosp., Parks and Malls. True taxes and assessment TBD! Directions To Property: Clover To Tobey, Tobey Turns Into Mendon Ctr. Escena Rise Is Off Mendon Center On The Left Just Past Barker Road. 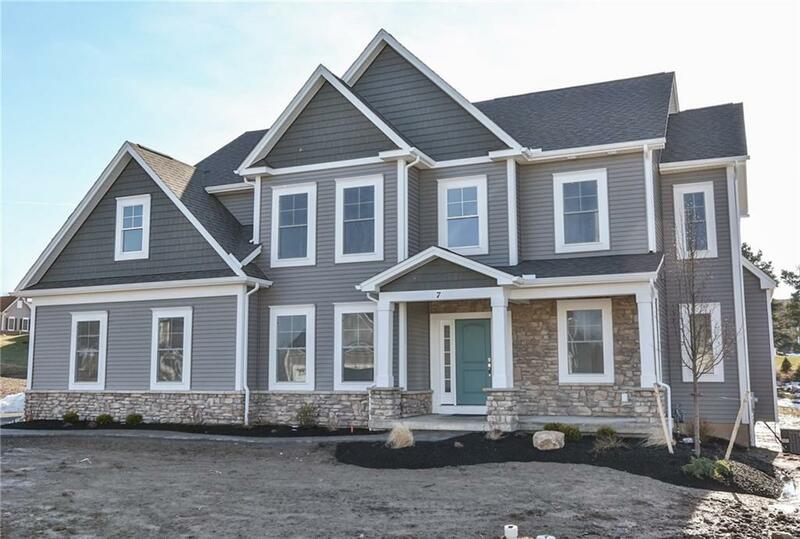 You Can Use 3 Escena Rise Pittsford, Ny 14534 To Find The Model Home In Front Of The Wilshire Hill Community.